They say your first co-star always holds a special place in your life. 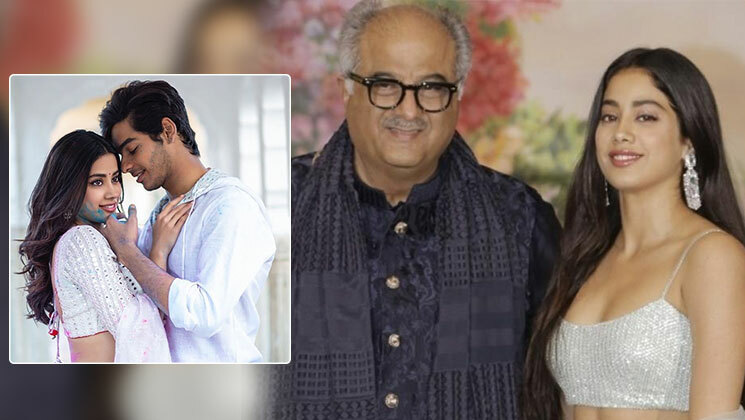 Newbies Janhvi Kapoor and Ishaan Khatter made their Bollywood debut with Karan Johar‘s home production ‘Dhadak’. Ever since the film came out, both Janhvi and Ishaan have continued to shower praise on each other. They are even spotted on lunch dates or attending social dos together. There is conjecture that these two are more than “just good friends”. However, both of them have constantly denied that. Janhvi was even asked about her father’s opinion regarding her “good friend” Ishaan. “Dad thinks Ishaan is a lovely actor and he is very talented. He is a very nice boy,” she said on the show. We do agree with Mr. Boney that Ishaan is a supremely talented actor and a lovely boy. Interestingly, on Karan Johar’s chat show ‘Koffee With Karan’, Janhvi’s brother Arjun Kapoor had joked about Ishaan constantly buzzing around her. Host Karan too had tried his best to make the young actress spill the beans about her relationship status but she strictly maintained that they are just friends and nothing else.